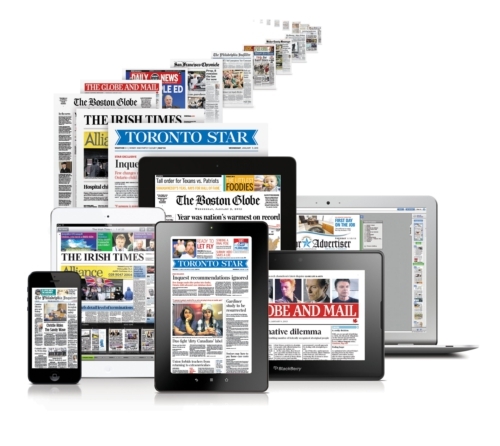 Newspapers around the world are discovering one by one that their customers are coming to rely on digital editions, and as such, many long-established icons of journalism are turning to digital, either in a hybrid capacity which lets the consumers choose print, digital, or both; or in a natural evolution towards a strictly digital landscape. Unfortunately, according to a recent post for Poynter.org, many of these entities are making the transition without a fully-immersed digital editor at the helm. According to the article by Rick Edmonds, “Managing an accelerated change to digital is difficult whatever the editor’s background.” Edmonds went on to explain some of the challenges, as well as list by name a few of the more noted editors who have a strong background in web or digital publishing. Sadly, the numbers are small compared to the 1,380 or so newspapers still in circulation in the US.